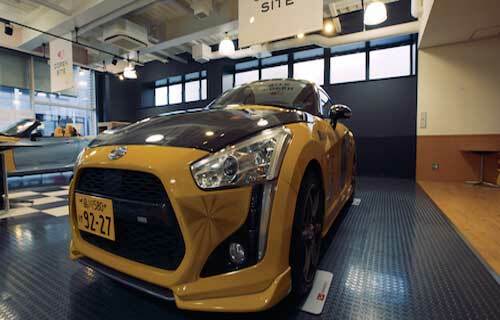 Japanese automaker Daihatsu Motor Co., Ltd, (Daihatsu) is one of the first manufacturers to deliver on the 3D printing vision of mass customization of end-use parts, collaborating with Stratasys and top local designers. The company was looking to expand the market for customized plastic bodied cars and saw 3D-printing technology as an effective means to this goal. Based in Ikeda, Osaka, Japan, Daihatsu partnered with 3D printing company Stratasys, Kota Nezu from industrial design company Znug Design and 3D creator Sun Junjie to turn the vision into reality. Designers created 15 “Effect Skins”—intricate geometric and organic patterns in 10 different colors that are 3D printed using Stratasys’ Fortus 3D printers. The skins may be ordered for front and rear bumpers and fenders. The Effect Skins are 3D-printed on Fortus Production 3D Printers from Stratasys using ASA thermoplastic. “What would have taken two to three months to develop can now be produced in two weeks,” said Osamu Fujishita, general manager, corporate planning department, brand DNA office, Daihatsu Motor Co. The Effect Skin project is being tested in 2016 in select markets with plans for commercialization in early 2017.